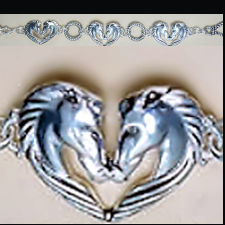 Six Horse heads form 3 hearts, linked together with latigo links. This silver finish bracelet has a heart shaped lobster claw clasp and lariat loop closure. A beautiful gift, this bracelet is 7" x 3/4" (17.8 cm x 1.9 cm). A great bracelet for any horselover. 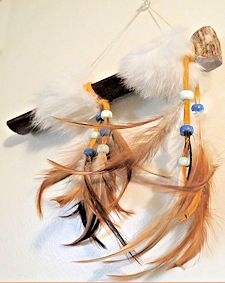 This product was added to our catalog on 01/13/2019.